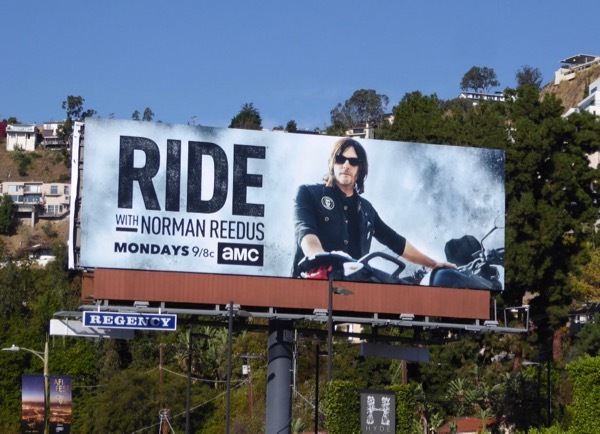 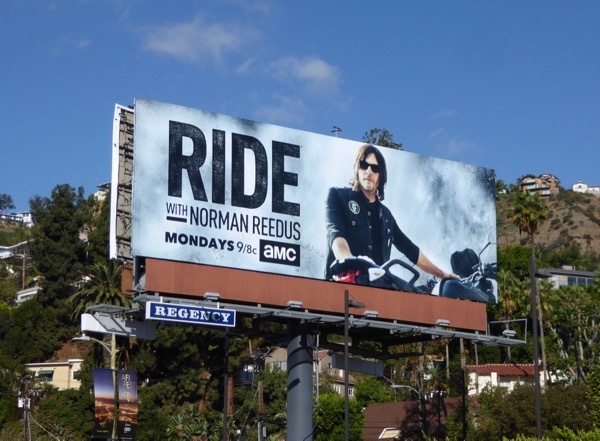 Fan-favourite 'Daryl Dixon' is not only back for the eighth season of The Walking Dead at the moment, but he's also returned for a sophomore season of Ride with Norman Reedus. 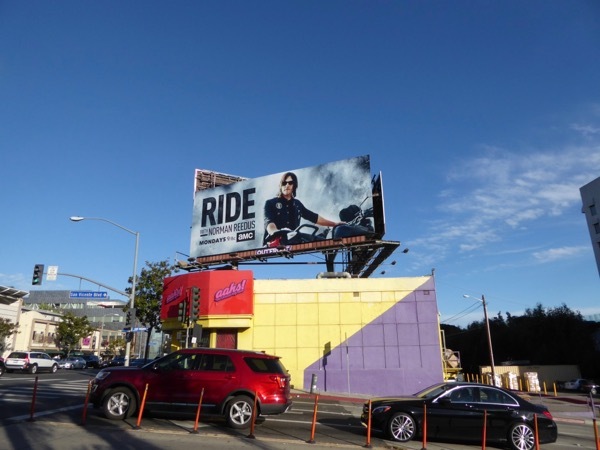 In each episode the motorcycle enthusiast continues to hop on his bike with a friend, actor, musician, or celebrity and explores the local bike culture of different cities around the country, checking out mechanics, collectors, tattoo parlors, eateries and craftsmen. 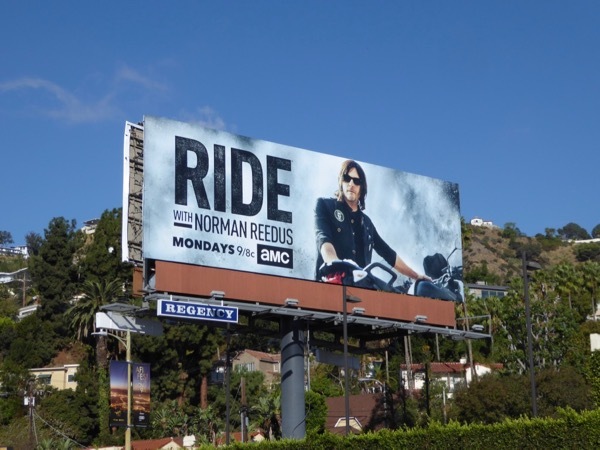 These second season billboards were spied along the Sunset Strip from November 3 to November 5, 2017. 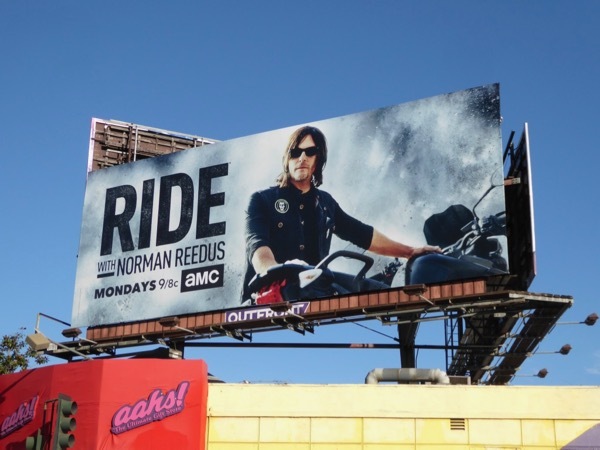 Fans of the zombie apocalypse drama can also enjoy all these billboards for The Walking Dead, whilst motorbike enthusiasts can enjoy all these Sons of Anarchy billboards, these Ghost Rider movie billboards and these Mission: Impossible movie billboards.